You might imagine sparks flying every time you send these charged throwers at a target! 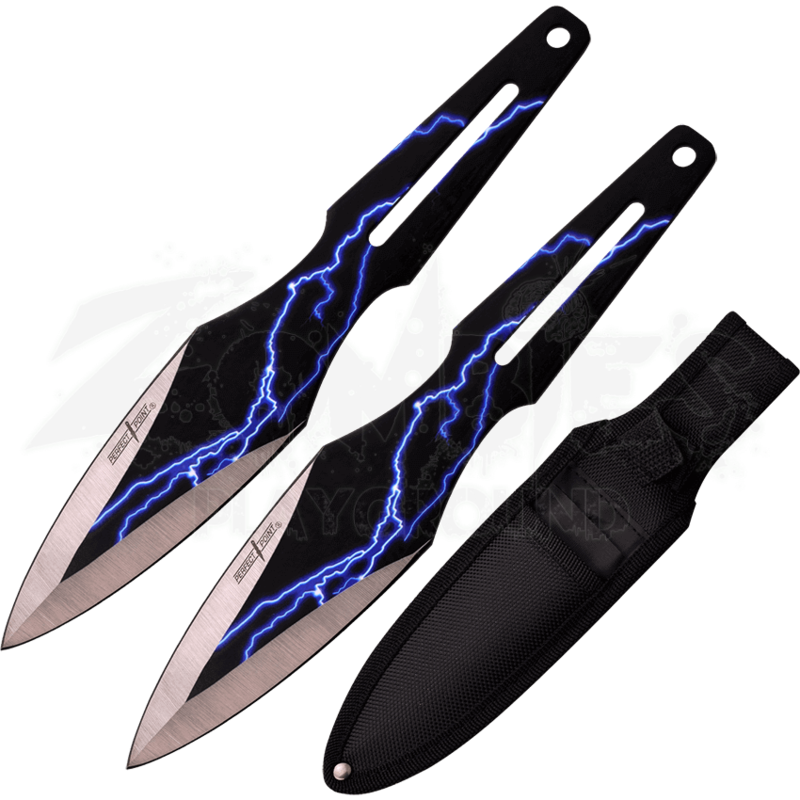 The Electricity Throwing Knife Set includes a pair of stainless steel blades decorated with a fantastic heat transfer graphic. Blue lightning licks up the sides of the blades onto the black metal handles. The edges of the spear point knives show off a satin finish to complete the look. These functional throwing knives work great for target practice and throwing competitions with their excellent balance. The lightning throwers come with a nylon pouch for carrying and storing when not in use.